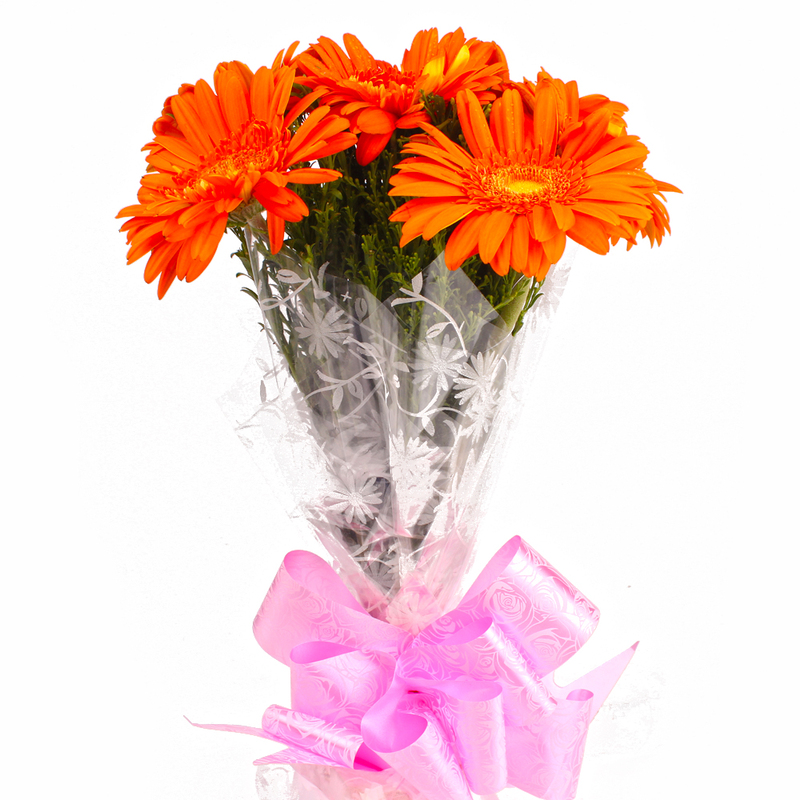 Product Consist : 6 Stem of Orange Color Gerberas with green fillers in Cellophane Wrapping with Ribbon Bow on it. 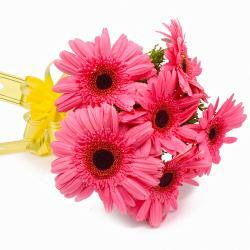 Nothing is as enchanting and delighting as a gift of flowers till date. 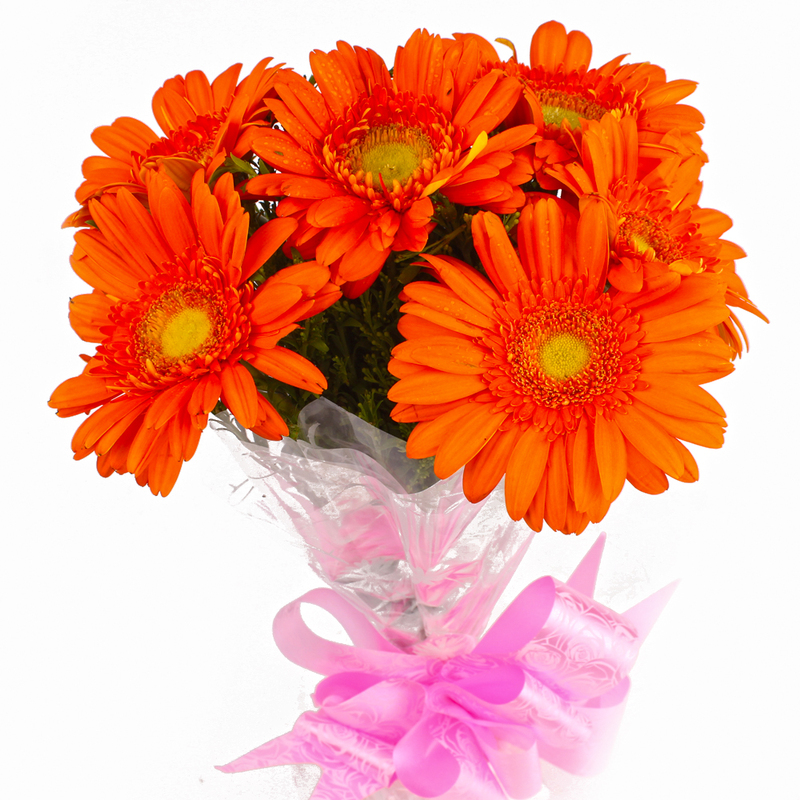 Brighten special occasions of your loved ones with beauty of freshly cut Six Orange Gerberas that are picked at the peak of perfection. 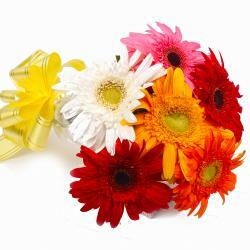 These blossoms are tied together in a bunch with matching ribbon in bow shape and are adorned with cellophane wrapping. 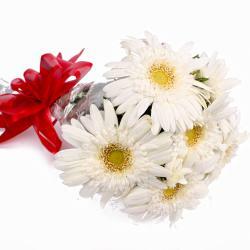 Gift it to your loved ones on their special occasions like Birthday, Anniversary, Get Well Soon, Lohri, Fathers Day and so on and make it a memorable affair for them. It will prove to be a truly heartwarming gift. 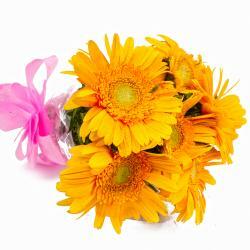 Product contains : Six Stem of Orange Color Gerberas with green fillers in Cellophane Wrapping with Ribbon Bow on it.